Content Marketing World 2018: Game On! 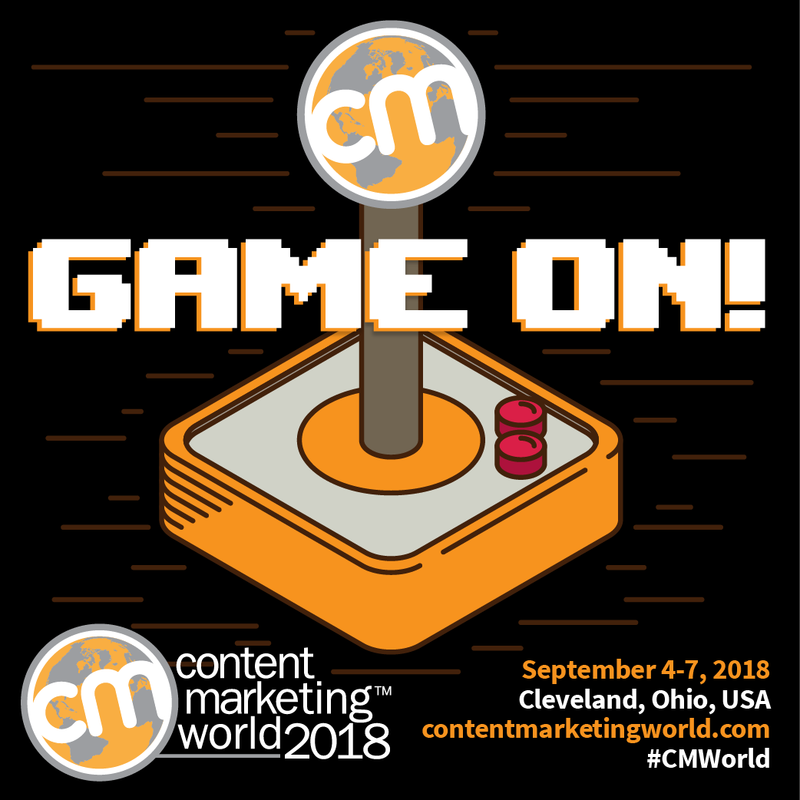 We’re thrilled to bring you the Content Marketing World 2018 theme: Game On! For our #CMWorld alum, you may remember some of our past themes: “World of Stories” with our around-the-world stage, our postcard-inspired track posters and postage stamp speaker images, or our “Amplify Your Story” theme from a few years back with concert posters doubling as track posters highlighting our speakers. Or “Bright Lights, Big Content” with our Hollywood theme! This year, we’re doing a gaming-centric theme. Everything from traditional board games to the latest and greatest in gaming systems. DO BETTER WORK! Let’s do this! We’ll have sessions that can help you do better work to push your content marketing from great to epic – whether it’s a technology you need, a process you need to iron out…our speakers have you covered. ACCEPT THE CHALLENGE! I’ve said it before: some of our biggest “competitors” in the content marketing and events space are some of our closest friends and allies. We’re constantly learning from and helping each other. A friendly challenge doesn’t have to mean a bad thing. What if we all pushed each other to do better and think smarter to get to that next level? Find that speaker or conference buddy that you can learn from and who will help hold you accountable. HAVE FUN! We love to have fun just like our attendees, speakers and community. And that fun and excitement should translate to your work. Are you creating the best work you can? Are you having fun doing it? Hear from some speakers on how their passions and excitement for their work “level up” their content marketing. For us at CMI, the theme ties into all we do visually, but for you, we want you to get involved with the theme as well. Tell us what you think when you see Game On! and we’ll try and implement that in all we’re doing. We’re so excited for September and hope you are too. Bring your “A game” and be ready to have some fun while learning a ton from some incredible industry leaders and brand practitioners. Special thanks to our creative director, JK (Joseph Kalinowski), for taking our creative ideas and turning them into some fun images! Not registered for Content Marketing World 2018 yet? Still plenty of time! Our next deadline is May 31, 2018 when our early bird prices go away. Code CMWBLOG saves $100 on current pricing! Register today.